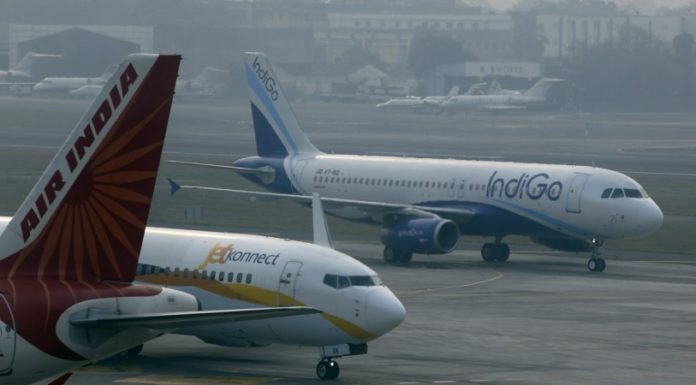 The domestic Indian airline services Jet Airways, IndiGo and AirAsia India are in the race to offer tickets for lower rates. All the three airline services have already announced promotional schemes on advance bookings. India’s popular domestic airline service IndiGo has extended its sale by offering tickets at a price of Rs 799. This offer will be available till December 10 and is applicable on travel between December 20, 2014 and October 28, 2017. Jet Airways also has prolonged its ‘Global Sale’ offer under which the airline service is offering fares from Rs 899 on select domestic flights on economy class travel. The offer of Jet Airways is available till December 10 and journey should start on or after January 5, 2017. The airline company mentioned that seats are available on first in first serve basis. Another renowned airline service AirAsia India has also announced a promotional scheme with rates starting Rs 1,015. The AirAsia India Rs 1,015 offer is open till December 11 and it is applicable for travel period between January 6 and May 25 and the offer is example for Hyderabad-Bengaluru route. The fares on New Delhi-Bengaluru route start from Rs 2,515. Low rates from Airlines have encouraged strong growth in domestic air travel. Passengers carried by domestic airlines during January to October this year has jumped 23 per cent to Rs 813.70 lakh. Aviation regulator, Director General of Civil Aviation has not yet announced the November Air Traffic figures.